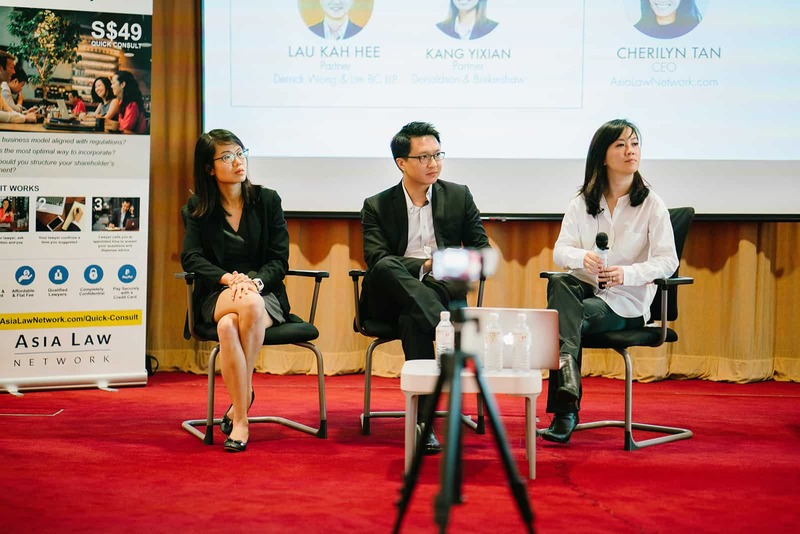 Lau Kah Hee (Partner, Derrick Wong & Lim BC LLP) and Kang Yixian (Partner, Donaldson and Burkinshaw LLP) shared tips about freelance work during ‘Legal for Non-Legal Professionals,’ an event co-organized by AsiaLawNetwork, Singapore Corporate Counsel Association, NTUC and the Singapore Human Resources Institute. If I were to make money from a freelance job (e.g. being a GrabHitch driver), what are my tax implications? Do I have to declare my earnings and how do I declare it? As a freelancer, should I set up a local company or sole proprietor to receive earnings in exchange for the work done? If I would like to do freelance work outside of my full-time employment, what kind of agreements can I sign for the freelance work? What should you look out for in freelance contracts? What do we have to look out for in freelance contracts? What are the important components to cover in a client agreement for billing the person who’s hiring me for freelance work? So far, my client has paid me for my services even without a client agreement in place. Should I be worried and prepare a contract for my client? If my clients have delayed my payment, how can I use my signed agreements and invoices to ensure that I’ll get paid? What is the difference between ‘moonlighting’ and ‘freelancing’? If I am freelancing while looking for a full-time job, can I continue freelancing after finding full-time employment? Will my freelance work jeopardize my chances of being employed? At what point does my hobby become ‘moonlighting’ that I have to declare to my company? If I’m a director of another company but am not receiving a salary, does that fall foul of my employment contract with my existing employer? If I’m a mother, can I do freelance work while I’m on my maternity leave? If I’m going to hire a freelancer, should I find out whether the freelancer has a full-time job and is allowed to freelance? I have a business which I have registered as a sole proprietorship. Now that my business is starting to grow and I’d like to hire freelancers, should I incorporate? I’ve hired freelancers to work with my full-time staff for an event. Can I pay my full-time staff together with the freelancers at the end of the event? Or do I have to include their earnings for the event in their main employment payroll? Kah Hee: The tax implications are that you obviously have to report your income that you have earned as a Grab taxi driver. That will constitute your trade income that you have earned as a self-employed person, which will be separate from what you have earned in your full-time employment elsewhere. So you’ll have your employment income as well as your trade income under your self-employment. Those will be your obligations under the Income Tax Act. Kah Hee: I think either way is legally fine. If you want to set up a company, you would have to incorporate the company, so there’ll be some fees involved. It’s not much and it depends on your end objective. If you want to enjoy some tax benefits and limited liability, then it’s always good to incorporate the company. That’s my usual advice to clients who ask whether they should set up a company or not. Of course, you can also do it as a sole proprietorship. So that means just performing your freelance services without incorporating a company. But when doing that, you are exposed to unlimited liability, as you would be operating in your own personal capacity, and you don’t enjoy those income tax benefits that are available to a newly incorporated company. If I would like to do freelance work outside of my full-time employment, what kind of agreements can I sign for the freelance work? Kah Hee: You should first ask yourself whether you are allowed to engage in freelance work when you are still being fully employed elsewhere. That will very much depend on the employment contract that you have with your employer. You would have to examine it yourself or you could get legal advice on whether your employment contract restricts you from engaging in freelance activities elsewhere. There may be an express prohibition saying that you can’t engage in freelance activities elsewhere or you might have also be restricted indirectly as a result of certain obligations. For example, you are supposed to devote your full-time energy and attention to your full-time employment. The essence of it is that you have to make sure that you are actually legally covered if you were to decide to do freelance work. And if you are allowed to or if you think you want to take the risk to moonlight elsewhere, it’s always good to have a written agreement with whoever you are providing your services to. Or you can get a lawyer to vet through your contracts that you may want to enter into with a third party. Another obvious thing would be to not sign an agreement that goes against your main employment contract. If your main employment contract has a non-compete clause, then make sure that when entering into this freelance agreement, you do not breach that non-complete clause. Kah Hee: The usual components in such a contract — how you’re going to be paid, how much you’re going to be paid, when the work is supposed to be completed, what if there’s a delay and will there be any damages to be paid if the work is delayed. Sometimes you’ll have a liquidated damages clause saying that if there’s a delay of one day, it’ll equate to how much money you have to pay to the other party in terms of X amount. Yixian: Also, maybe you can look at limitation of liability clauses if you want to impose a cap on your risk exposure. Then that’s also one contractual mechanism that you can use. Kah Hee: Oh yes, and the dispute resolution clause is also quite useful to have. In the event a dispute arises, you need to know whether you have to go to court or go through mediation first or maybe have the dispute resolved by way of arbitration. It depends on what kind of mechanism you want to employ in the event a dispute arises. Kah Hee: When everything is rosy and you got paid on time, of course you would feel that you don’t need a written contract. But when things turn sour and something goes wrong, then it’s your word against his word. You don’t want that to happen so it’s good to have a written contract. What you do have now is an oral contract with him. My advice is for you to think long term since he’s going to be engaging your services not only now, but in the future. I think it’s good for you to invest some time and also maybe get some legal advice on the contents of the contract. And see if your rights and your interests are covered inside the contract to make sure that if something goes wrong, at least you’re covered. Kah Hee: It’s best for you to engage a lawyer to write a letter of demand to the other party. If their response is less than positive, the lawyer will take them to court. For most of the boutique law firms, a simple letter of demand costs about $250-$500. It depends on the volume of documents involved–if you’re giving us a stack of invoices, then it might cost more. If the amount of your payment is less than $10,000, you can go to the Small Claims Tribunal and fight it out with the other party. I’ve seen many of those cases because I’m also a mediator there. It’s usually quite clear cut, so you don’t have to worry if you have everything in black and white. If the amount is more than $10,000 and the other party doesn’t agree to have it in Small Claims Tribunal, you can bring it to the State Courts. And that’ll be the legal way of getting back your money. Kah Hee: ‘Freelancers’ is a very loose term to describe independent contractors. And there’s always a distinction drawn between independent contractors and employees. Now, how you distinguish one from the other is actually based on case/common law. So I don’t think there’s any statute that will define what’s the difference between an employee and an independent contractor/a freelancer. How you are paid. Are you paid at the end of each project, or does your salary come in at the end of each month? Control. Do you have full control over how you’re going to carry out your activities, who you’ll employ, whether you bring your own equipment, or will it be provided for by your client? You have to look at the whole factual matrix to decide whether you fall under the category of an employee or an independent contractor. Ultimately, the law doesn’t draw a distinction between the word ‘freelance’ and the word ‘moonlight’. Yixian: I think it boils down to what is the freelance job that you’re doing and what is this fixed term employment job that you are seeking. Are these at odds with one another, or are they complementary? For instance, if you’re a freelance wedding photographer who wants to work for a wedding planning company. In that sense, you provide complementary services which your prospective employer may not necessarily prohibit or disapprove of, especially if you are doing that during weekends and non-office hours. So it’s down to you talking to your employers. Generally, and personally speaking, it’s always better to be upfront about your freelance work. You don’t want to be hiding things in case something crops up with your prospective employer later. When you join any new employer, you’d want to join on a clean footing, something that is upfront and above board. Yixian: I think when your hobby starts earning you money, that is a very big sign that your hobby is something more serious. But it depends on the clauses in your employment agreement. You need to carefully read the ‘no moonlighting’ clause (if there is one in your employment agreement). Yes, for now, it may be a hobby. But if you’re very passionate about that hobby, who’s to say you don’t make a career decision to be more serious about your hobby and invest in really turning that hobby into a business. If you only engage in your hobby outside office hours, and assuming that it’s completely unrelated to your work, it’s really up to you how you use your time. Kah Hee: You have to consider what your company is doing and what you’re doing as a freelancer to check for any conflict of interest. Even if you are not earning money, you have to ask yourself–are you spending so much time that you are affecting your duty to devote full attention to the company. Your employment contract may very well provide that you’re supposed to devote full time and attention to the company. Everyone has their own hobbies and their own leisure time which they have every right to spend in whatever way they deem fit. The way I see it, you have to look at the contract very carefully to see whether what you’re doing is actually something that is prohibited by the company whether expressly or indirectly. And if you’re not so sure, I think it’s best for you to seek legal advice because everything depends on the factual matrix of your case. Kah Hee: You’re talking about being like a sleeping director or inactive director. Again, that depends on the exact terms of your employment contract which may specify the kind of activities that you’re not supposed to engage in outside of your full-time employment. I’ve seen clauses where the clause will include you not being director of another company or employee or agent. These kinds of clauses are usually quite widely worded. So it’s a matter of contractual interpretation and the terms of your contract. Yixian: When you’re on maternity leave, you’re still employed by your company so what we have discussed on whether you’re allowed to moonlight remains the same. Kah Hee: I think it would be of your own interest to ask that prospective employee if he has a full-time job. Because you don’t want to be accused of inducing a breach of contract between him and his employer. ‘Of service’ meaning an employee; ‘for service’ meaning like an independent contractor on a freelance basis. It would always be good to ask him directly at an interview what his situation is and to have it recorded in writing. So at least you lay a paper trail to cover your interests and to make sure that you’ve already done your due diligence. Now if he lies to you or if he hides the truth, or he tells you half-truths, then it’s not your problem already. Because really, you did your best to cover yourself. You have it recorded in black and white and in your meeting notes, and you can’t be accused of doing something unlawful subsequently. You can of course include a properly worded clause inside your contract to cover yourself. But at the same time, it’s good to also do your own due diligence through that question and answer session when you’re interviewing him. Yixian: Well, I think this is really a business strategy question. You have to consider what’s the revenue you’re looking at, how many people you’re looking to hire, would you want to expand your business just locally or would you want to go overseas? As a sole prop you can still hire freelancers, that’s up to you. One thing that Kah Hee mentioned earlier is that the main benefit about going private limited i.e. incorporation is to have a shield. That layer of protection, so that you are not personally liable. Say for example, one of the freelancers you hired did something wrong. And your end client wants you to fix it or worse, they may want to claim damages. If you have a sole prop, then you have that uncertainty hanging over you—‘Will I be personally liable?’ Whereas if you are a private limited entity then it’s that legal entity that’s liable and not you personally. So you have to think about that and how you want to grow your business. The legal side of things should not be hampering the growth of the business. It should be aiding and helping you to expand your business. Kah Hee: And don’t forget, you can get partial tax exemption for the first three years. So when you set up a company, you get much more tax benefits than as a sole proprietor. Kah Hee: You have to include your employees’ earnings in their main employment payroll. If their full-time employment salary falls below the cap of $6000, you have to declare it to CPF and pay CPF on that. Have questions about freelancing you’d like to ask the lawyers? 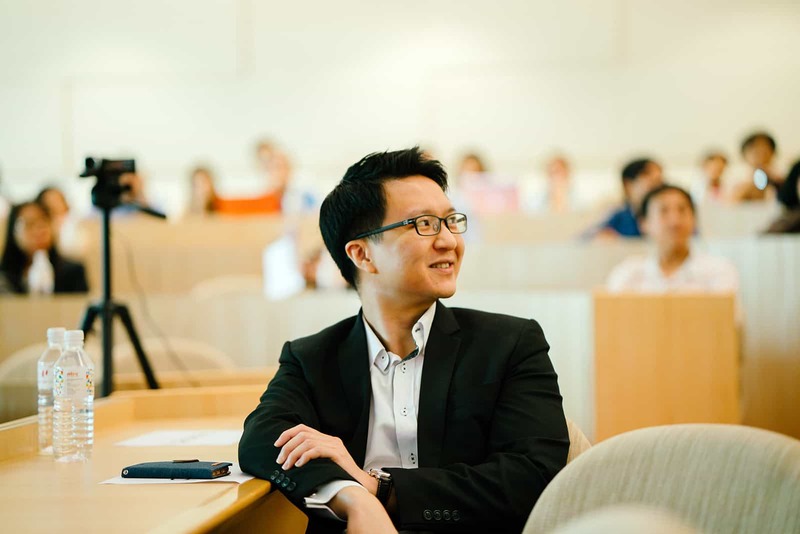 If you would like legal advice on freelance work or on any other matter related to employment, you can book a Quick Consult with Lau Kah Hee. 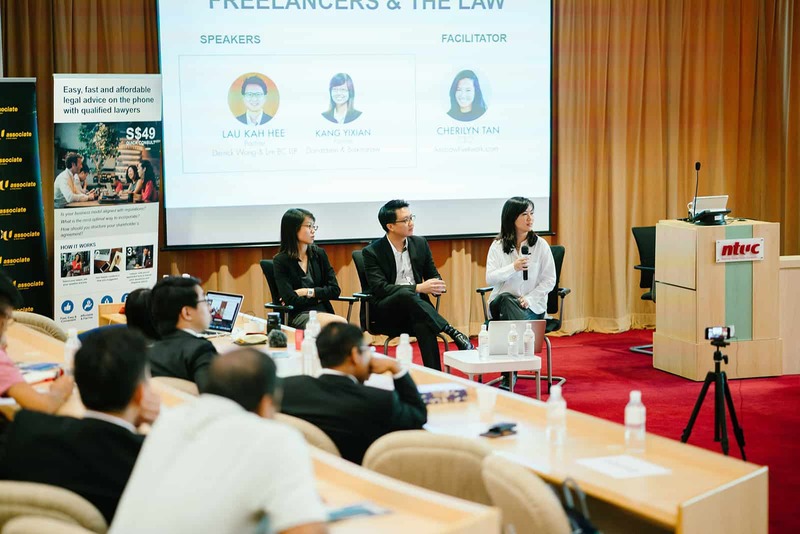 When you get an AsiaLawNetwork Quick Consult, Kah Hee will call you back within 1-2 days for a transparent, flat fee starting at S$49 to answer your questions and give you practical legal guidance and advice. You can watch the video of the event here!